Life is not always easy and making ends meet seems impossible. Although monthly structured settlement payments provide financial security, you may need more money than these payments can provide. There are ways to convert your monthly payments into cash now. You may have a financial goal or opportunity that cannot be met through monthly payments. Want to purchase a home? Take a vacation? Or pay off debts? Finance higher education? Cashing in your structured settlement may be the right choice for you. The stress of financial issues can be enormous. 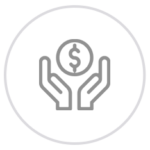 With help, you can sell your structured settlement for a fair price to enable you to take care of your expenses or an unexpected financial crisis. Whatever your reason, this guide will help you sell your settlement for cash. Our guide will to offer the information you need so you will be able to get the money you deserve for selling your settlement. Want cash for your structured settlement? Contact DRB Capital today to get a quote from a reliable buyer who can guide you through the process with ease. The decision to sell your settlement payments is very important and should be made carefully. With the right information you can make a sound decision that will be in your financial interest. One of the first questions people have is how much cash they will receive when they sell their settlement. This is a natural concern and is an important point to consider. To understand how much money you will get, it is important to know about the discount rate. The discount rate determines the amount of money you will receive from the settlement buyer. Companies such as DRB Capital work to provide low discount rates for their customers. It is wise to choose the lowest rate possible, which will mean more money for you, the seller. Should you decide to sell your lawsuit settlement, you are not required to sell all payments at once. There are options which can be adjusted to meet your financial needs. Many people decide to sell only a portion of their payments. By doing this, they will resume receive payments in the future. You have the choice to sell the entire structured settlement or a portion, the choice largely depends on your financial needs and goals. A trusted structured settlement buyer like DRB Capital can discuss your needs and offer the right fit for your plans. I Want to Sell – What Next? There are only a few basic steps in the whole process of selling a structured settlement. With the right buyer, the process is streamlined and includes the following steps. Research companies and choose a credible buyer like DRB Capital. Call the company to get a free quote. Accept the offer and fill out the short application form. Paperwork must be approved by a judge, so a hearing will be scheduled. Following approval, the order is sent to the insurance company and you will receive your money from the buyer. From beginning to end the process typically takes a few weeks, largely depending on how quickly the hearing is scheduled. The company should be willing and able to answer questions throughout the process. The company should provide you a quote promptly. The company should never harass you or rush you during the process. Here are some common questions and answers regarding selling lawsuit settlements. Can you sell any type of structured settlement? Not all structured settlements are assignable, which means they cannot be transferred to another person or entity. If you’re currently receiving monthly payments from an insurance company, they are likely assignable and you will likely be able to sell your payments. Can I legally sell my structured settlement? You have the legal right to sell your payments as long as you can demonstrate financial need to the judge. Where do I sell my payments? A structured settlement company like DRB Capital can help. Call them now to get a FREE quote: (800) 307-3213. You should carefully consider your financial plans. Remember, you need a valid reason for selling your payments but this can include any number of current financial issues or an investment opportunity. Remember, you will stand in front of a judge to present this financial need before the transaction is approved. Why is a judge involved? Laws to protect structured settlement holders ensure they do not make rash decisions which have long term negative effects on their finances. One part of these laws is that a judge must approve of a transaction. The judge will make sure you have a good reason for selling and your buyer is offering a fair purchase. In most cases, you will be liable for taxes when you sell your structured payments. Your settlement buyer should be able to advise on this or refer you to an accountant who can offer advice relevant to your state’s laws. The entire process typically takes between 45-60 days. The buyer should be able to give you a clear timeline. What happens if the judge does not approve? If the judge does not approve, this does not mean you cannot sell your settlement payments in the future. You should review the reason for the refusal of the sale and address it before you try to sell again.